New.2019 Happy Easter Yellow Chick Easter Inflatable. 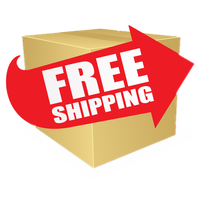 This 5 foot Yellow Chick Easter Inflatable holding Happy Easter Banner will help put some fun and celebration into decorating for this 2019 Easter Season. At 5 feet high, a great Easter Decoration for indoor or outdoors. Easter bunny in purple vest Inflatable. This fella is a real gentlemen in his purple vest as he holds a colorful Easter Egg.. If you are planning a Easter Patch or Hunt Party this year....this handsome Easter Bunny is must at your next get together. This Gemmy Easter Bunny inflatable stands 4 feet tall. Great for indoor or outdoor display. New Gemmy Easter Inflatable back for 2019.....3.5 Foot Easter Bunny with Pink Belly Easter Inflatable. Wish everyone Happy Easter this Easter Season with this adorable and lovable Easter Bunny Inflatable. Don't forget, Easter is April 21 this year. Mr Easter Bunny in his new 4 Foot Egg Car Inflatable. This cute and adorable Easter inflatable will be a hit with kids this Easter. Greet your visitors and neighbors with this Bunny driving his new vehicle and wishing everyone happy Easter greetings. Easter Bunny with Wheel Barrow Easter Inflatable. This 2019 Easter Bunny is showing off his new colorful wheel barrow and his new painted Easter eggs. Dressed in a dashing blue vest with a green bow tie, he smiles at welcomed guests and neighbors with rosy cheek. This Very adorable 4 Foot Wide Easter Bunny with his wheel barrow full of eggs will be a big hit this Easter with children, parents, and even grand-parents. Add this the bright and cheery inflatable to your Easter celebrations this Easter 2019. New Colorful and Bright Easter Inflatable featuring Mr. Easter Bunny holding a colorful string of 3 Easter Eggs. Will definitely brighten up your Spring Easter nights with interior lighting. Plugs into an AC outlet, and comes with ropes for securing it in place. This Easter inflatable stands 4 feet high. New for Easter 2019....Blue Easter Bunny with Pink Egg Inflatable. This adorable Easter Bunny is holding a colorful Easter Egg and greeting all your Easter visitors with a big smile and a big hello. This Easter inflatable stands 6 feet tall. Kids will love this one. New 2019 7 Foot Easter Bunny with Egg Inflatable. This is one friendly looking Easter Bunny ready to greet all your visitors and neighbors with cheerful Easter greetings. Easter Bunny airblown is holding a colorful Easter Egg and stands 7 feet tall. Children will enjoy this Easter Bunny. New Easter Bunny with Large Egg Easter Inflatable Yard Decor. Great Easter Decoration for all you egg hunts. Welcome friends and family with this colorful inflatable at your next egg hunt or family Easter gathering. Great for indoor or outdoor use. Close to 4 feet tall. Very adorable Easter Bunny in a Blue Basket Easter Inflatable. This Easter Inflatable features an Easter Bunny in a Blue Easter Basket wishing everyone a Happy Easter. Children and adult alike will fall in love with this adorable bunny. This Easter Inflatable stands 4 feet tall. Cute and adorable new Easter Inflatable back for 2019.....Our famous Easter Bunny has decided to use his artistic skills with his new paint brush. And our bunny is holding a very attractive and colorful egg...the fruit of his hard earned labor. This Easter inflatable stands 7 feet tall. Very easy to use and to set-up to decorate your yard or indoor location this Easter season. New Gemmy Easter Inflatable.... This adorable Easter Bunny is decked out in his racing shades in his new speedster carrot car. And, his car is loaded with colorful Easter Eggs. This Easter Bunny will definitely be a delight to all the children in your family and neighborhood. A great item to have in your yard this Easter season to wish joyous Easter greetings to all who pass by. This outdoor Easter Bunny Inflatable extends 4.5 feet wide. Easter Bunny Holding Egg Easter Inflatable. 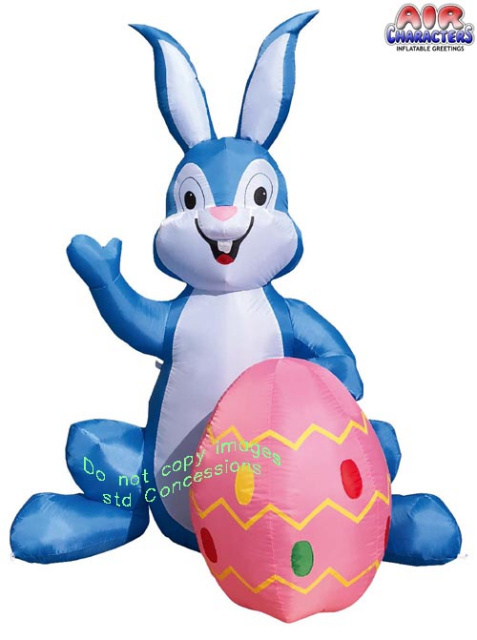 Put some fun into your Easter decorations in 2019 with this very colorful eight feet tall Easter Inflatable. Our Easter Bunny here is holding a giant Easter Egg and wishing all passerby a big Happy Easter. Easter Bunny Holding Two Eggs Inflatable. Hop into 2018 Spring and Easter with this bright and cheery Easter Bunny Inflatable. Our Easter Bunny is holding two large colorful and bright Easter Eggs. Inflatable stands 6 feet tall. Wish all a Happy Easter with our fun loving Easter Bunny Inflatable. New Easter Bunny Holding Egg Easter Inflatable for 2019....This cute looking Bunny will definitely brighten up your Spring and Easter Season! This Easter Bunny Inflatable stands 4 feet tall. Let this Easter Bunny holding a colorful egg greet all your visitors with Easter cheer this Easter Season! Look who is coming to town this Easter Season...It's the Easter Bunny in his new Egg Car. Great new Easter inflatable guaranteed to bring lots joy and cheer to both young and old alike this Easter Season 2019. Large Very Colorful Easter inflatable extends out seven feet long and stands six and a half feet tall. Let this Easter Bunny greet all your passerby this Easter Season! Supersize your Easter Decorating with this 11 Foot Easter Egg Inflatable. This new Easter Egg Patch Inflatable would be a great centerpiece to your yard decorating this Easter Season! This inflatable features 7 Colorful painted Easter Eggs. Great inflatable to have on display for any Easter Egg Hunt Party for the kids. Let the Easter egg hunt fun begin! New Easter Inflatable back for 2019.....Conductor Easter Bunny is coming to town this Easter in his new Deluxe Easter Train greeting all with Happy Easter wishes. This Easter Train features two cars...one car with two eggs and the other car with two Easter Chicks. Super size your Easter decorating this year with this Easter inflatable that extends 15 feet and over 5 feet tall. Fun Awesome Easter Inflatable! Easter Bunny Inflatable. Brighten up your Easter with this bright and colorful 6 foot Easter Bunny Inflatable. Cute and very adorable Easter Bunny is painting a large colorful Easter Egg. Guaranteed fun and hit by all children. For indoor or outdoor use. Complete instructions included. New and unique Easter Inflatable....Very Colorful Easter Egg Basket Inflatable. This beautiful Easter Egg Basket Inflatable features 5 large colorful eggs that will brighten up your Easter celebrations. The bow on the basket wishes all "Happy Easter"! Features great design detail. Be the first in your neighborhood to show your Easter spirit with this unique and very attractive 5 foot tall Easter Inflatable Basket. Easter Bunny Riding his EggSpress Train. Brighten up your Easter with this cute Easter Bunny with his Train full of good cheer and lots of Easter Eggs! Words displayed on train says Happy Easter. Kids will love this Easter Inflatable! Now you can Super-size your Easter decorations with this colorful Easter Airborn Inflatable. Approximately 13 feet long. This Colorful Easter Airblown will bring maximum party & holiday cheer to your indoor or outdoor decoration needs. Each one self inflates and includes everything you need to easily set-it-up in minutes. New Easter Inflatable for 2019....Large Easter Bunny Holding in Yellow Shirt. Displaying this large look dapping 8 Foot Easter Bunny will bring some Easter Joy this Easter Season to your yard, or Easter Egg hunt, or any other Easter gathering. This Easter Bunny is featured holding a colorful egg with the greeting "Happy Easter"